Lights, Glass Wall, ABS Wall, Lining And Curtains, Tables And Desks, Etc. 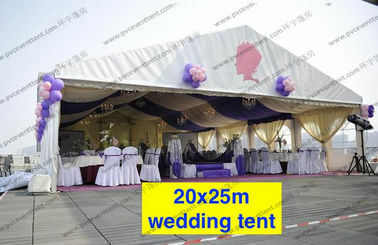 This kind of tents are usually White Marquee Tent With Solid Glass Wall And ABS Wall. It's really hot sale. There are no poles inside so you have 100% interior space for events. 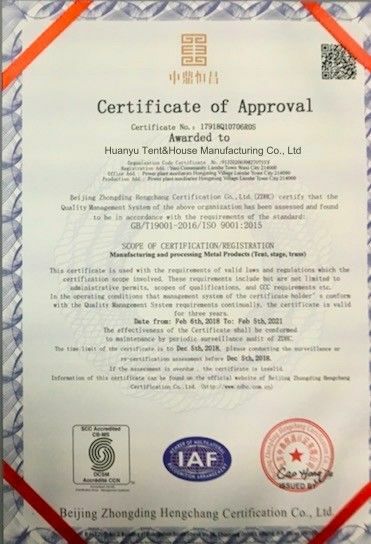 The clear-span width of our tents are from 3M-50M with unlimited length, made by hard pressed extruded anodized aluminum alloy frame and fire retardant and waterproof PVC. 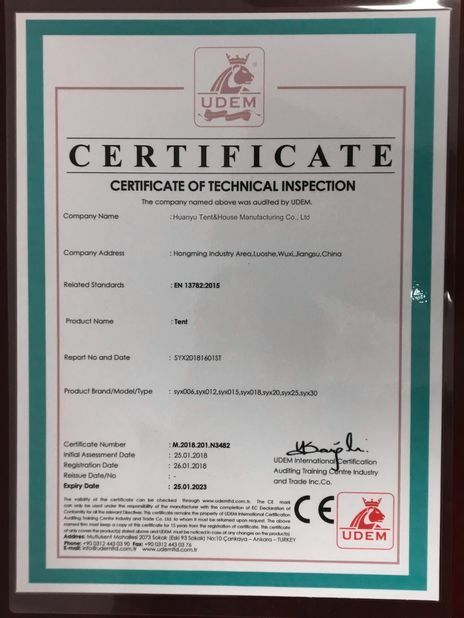 Full range of accessories such as clear window walls, solid walls, tempered glass walls, glass door, decoration lining, curtain and flooring system, tables, lights and so on. 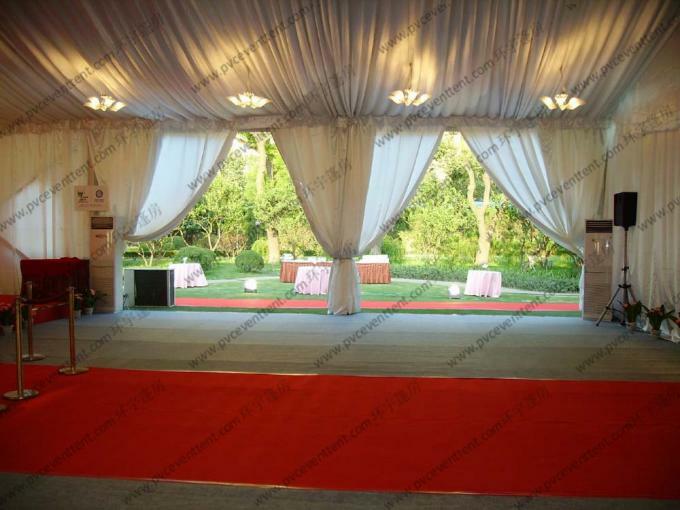 Our tents can be used for party, wedding, exhibition, lounge, cafe shop and any other activities. And we can enlarge or diminish our tents according to your specific requirements to make your tents more special and attractive. 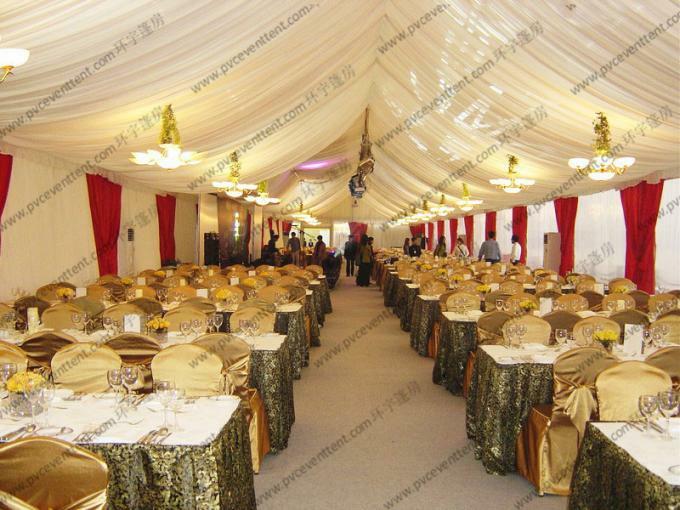 GLOBAL TENT is an experienced tent supplier with creative and delicate solution in tent field. 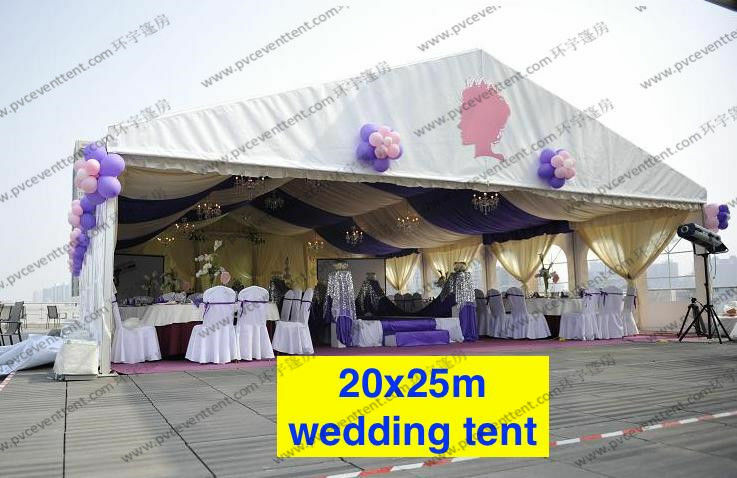 We focus on global PVC tents market and requirements and supply satisfactory and customized solution to our customers.